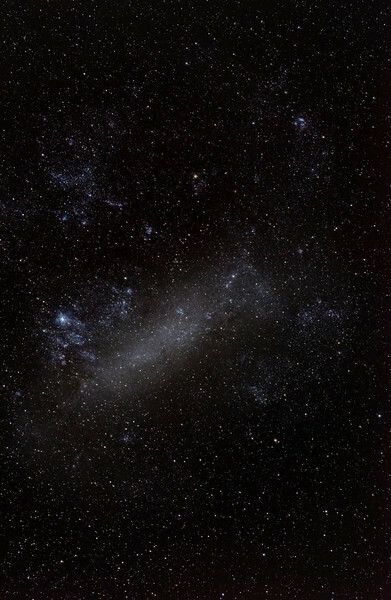 Greater Magellanic Cloud. 70 mm f5.6 lens on unmodified Nikon 7000 on EQ3 mount. 3 minutes total exposure. Trish took this shot while I was powering up the main dome. Shows you don't need a lot of kit to do astrophotography.